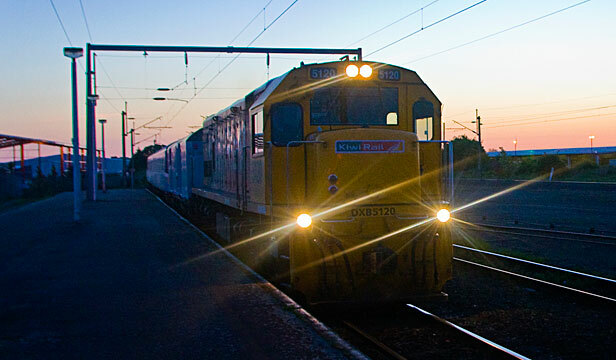 “Capital Connection passengers were thrilled this evening to hear that KiwiRail has decided to continue operating the commuter service for at least another three years. “It wasn’t just the passengers but our whole region that stood up and refused to let the train die without a fight. “We have worked incredibly hard lobbying the regional councils, NZTA, KiwiRail and Government to get this victory. “It has become a real labour of love with passengers working together on the train to work out our strategy and formulate our arguments in favour keeping the train. “Getting the support of the regional councils was the turning point. Their financial commitment not only demonstrated their commitment to continuing the service, it showed the Government that our region was serious about keeping the train. Taken today looking at the Otaihanga side. 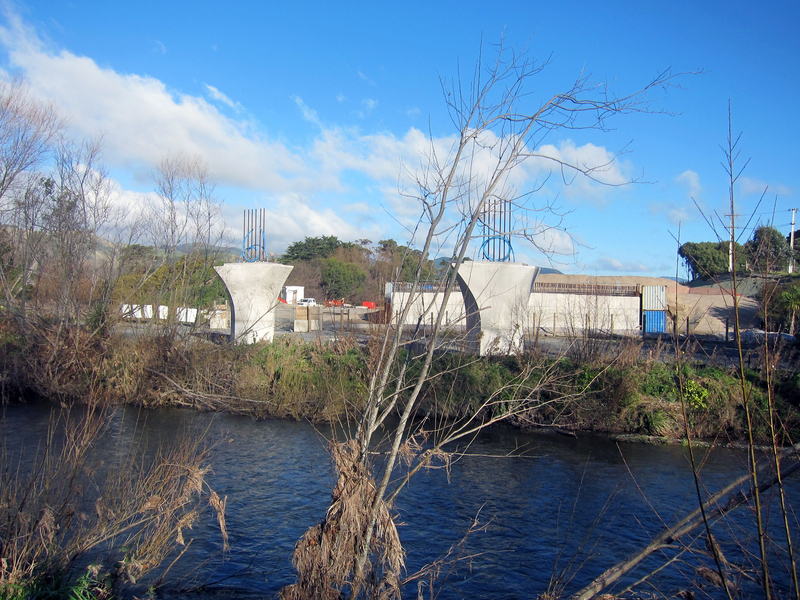 The bridge here only needs to clear pedestrians, but at Te Moana Road it will be need to be much higher to clear trucks and buses. Waikanae resident Jean Kahui from Frack Free Kapiti says the area includes ecosystems of national and international significance. She says it’s the fourth spill she knows of in six years. “Our authorities are minimalising it. They’re saying, ‘oh it’s just a few blobs of oil and it’s not going to be any risk at all to our marine.’ That’s a ridiculous thing to say. These fields are 30 to 60 kilometres off our shore. 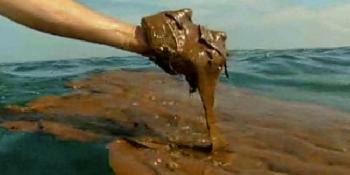 By the time we’ve got oil blobs there’s a huge amount of oil that’s in our marine,” Jean Kahui says. We’re pleased to see that the WCB has taken notice of one of our main by-election campaign platform planks and is doing something to make the entrances to the town more attractive. 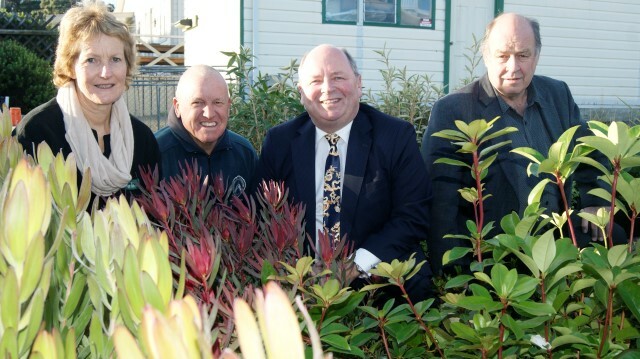 “The Waikanae Community Board is investing about $5000 in enhancing the town’s southern entrance by planting more than 250 flowers and shrubs. These have been supplied by Gus and Glenys, who have an amazing selection of native and exotic shrubs and trees – those being planted include a colourful collection of camellia, azalea, vireya rhododendron, protea and leucadendron, which will complement native plantings already in place. “Waikanae Community Board Chairman Eric Gregory says the planting is part of the community board’s long-term vision for ensuring Waikanae remains a vibrant and thriving destination for people once the expressway is completed. “Waikanae Ward Councillor Michael Scott says a range of existing native plantings at the site will be amplified by a number of other species to represent the diversity of Waikanae Gardens. ‘Waikanae is a garden centre for the Kāpiti Coast and this will be an entrée to that,” he says. ‘We’ve gone for plants that will be hardy, decorative and ones that we’ll get maximum effect from, in terms of coupling and matching with the native plants that are already there. The ideal community is one where neighbours not only respect each other, but also are supportive and are willing to help each other. The first two come under council (KCDC) jurisdiction: all you need to do is ring them and describe the problem and they will send out an officer to investigate. The latter two, if they involve private property, are civil matters which you need to deal with yourself. But don’t run off to a lawyer: they will likely charge you excessive fees for something you can easily handle. The Fencing Act sets out the legal procedure to replace an inadequate fence and the forms you need to use. Basically it assumes that the parties will share the cost of one equally and in Kapiti provided it does not exceed 2 metres in height, doesn’t require council consent. Get a quote from a contractor for a fence that will meet your needs and include it with your notice. If the other party proposes something simpler (or more elaborate) you will need to negotiate. If the other party rejects doing anything completely, then you will need to take it to the Disputes Tribunal – this will cost you $45, but should achieve what you want. Trees are more complicated: and unfortunately at present the Disputes Tribunal does not have the jurisdiction to handle an application under the Property Law Act. Sections 333-336 of this Act deal with trees. An application has to be filed in the District Court and involves a filing fee of at present $200. However, it is likely that this cost will be awarded back to you if you are successful. The application needs to be accompanied by an affidavit from you. The Justice Dept has details for self-represented parties on its website and a Community Law Centre can help with other technicalities. A. Identify accurately the location; GPS coordinates (on your iPhone or on Google maps) and the species: a competent garden centre owner should be able to do this from a photo. B. If it’s a native and over 4 metres in height, check with the council if it is protected under the District Plan. If it is then you will need council permission first before anything can be done. In a domestic situation, a council officer may do this without your needing to apply for Resource Consent. C. Pictures of the tree and the site, and the basis for your wanting it reduced or removed as per the wordings in the Act. The Act assumes that you will pay the arborist’s fees unless there is good reason otherwise. Be aware, however, that the Act is not a one-way street in favour of an applicant: a benefit for the applicant must clearly exceed a detriment to the other party: you will need to address this. As this is basically a common sense observation issue, the judge will want some independent statement attached to your affidavit from someone like a professional landscaper; a letter from such will do. 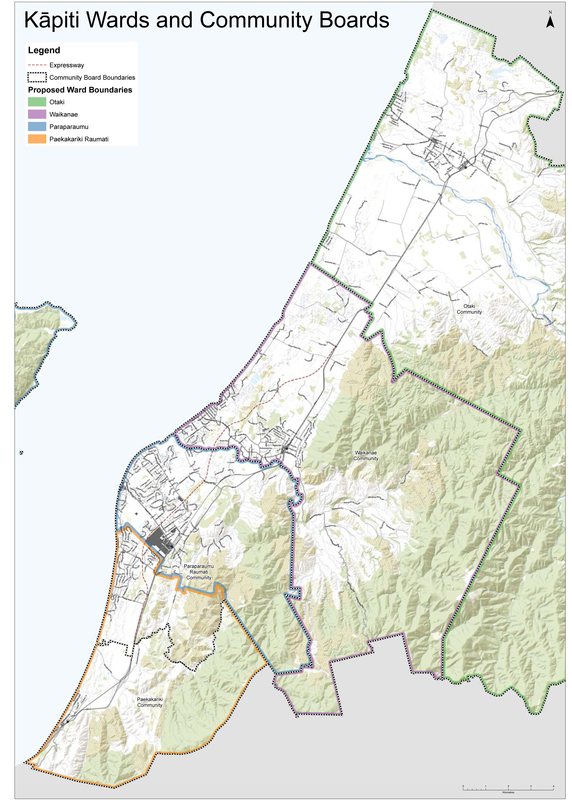 In response to strong resident feedback the council is proposing to enlarge the Waikanae Ward boundary (see map) so that all the residents in Huia Street and Reikorangi can be in the Waikanae Ward area, as well as the Waikanae Community Board area. This was not the case previously, with those residents being within the Ōtaki Ward area, a situation they found anomalous. This had occurred because of a rule in the Local Electoral Act – the +/-10% rule – which seeks to ensure proportional representation. Non-compliance with this rule may now be allowed because of a new clause in the LEA (clause 19V(3)(ii)) which can allow a community to be kept together rather than dividing it across ward boundaries. However, this does mean that council will have to refer the matter to the Local Government Commission at the end of the process for their final decision. 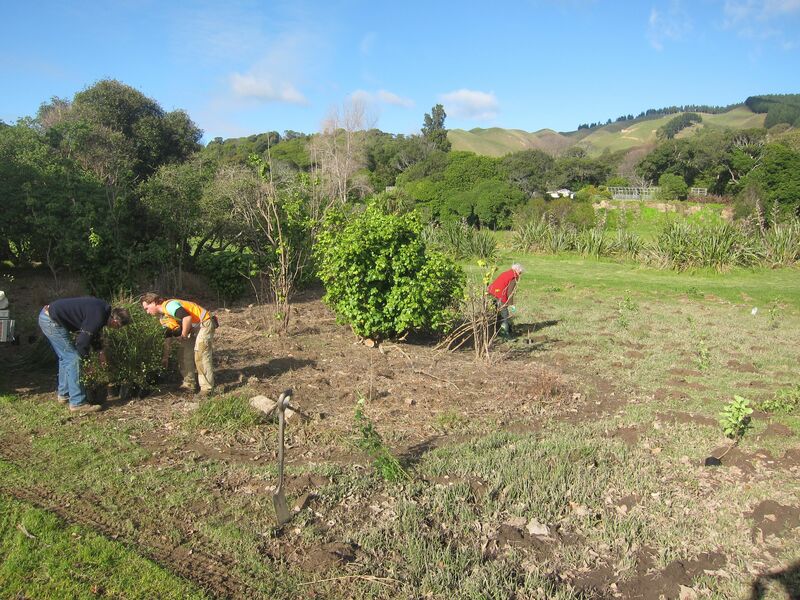 Today a small group of us volunteered to plant parts of Edgewater Park by the Waikanae River with a mix of native shrubs; the pic shows that work at the eastern end. Last week and last month it wasn’t just at the edge of the water, but in the water, when the river flooded as a result of the two deluges. It was a muddy area to work in with waterlogged clods. While we’re not into doing commercial promos on here like Destination Waikanae, we thought we’d mention our little soirée at Waimea on Waikanae Beach last night. 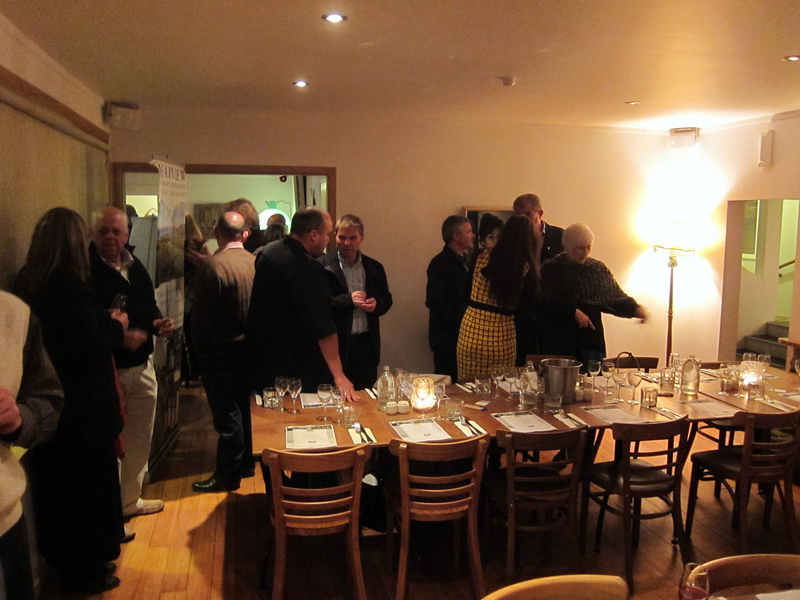 About 50 folks came along for a 4-hour, 5-course dinner, accompanied by wines from Clearview Estate in Te Awanga near Hastings: rosé, whites and reds. We thought their Gewurztraminer was a nice little drop. Further to the earlier post, a reader has sent in this pic accompanying a story on the stuff website about the proliferation of billboards in Wellington — being ones that are mounted on trailers and towed into a parking place each day on thoroughfares. 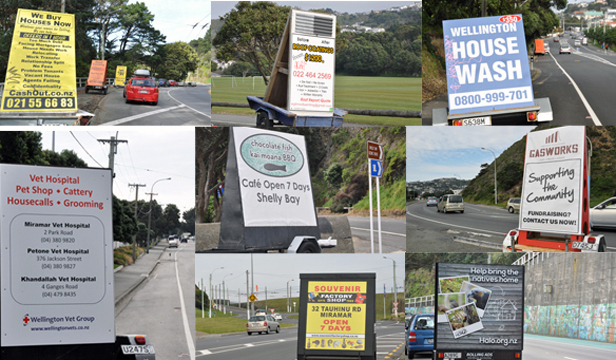 Most councils require resource consent for fixed billboards on roadsides and elsewhere if their effect is considered to be more than “minor”. 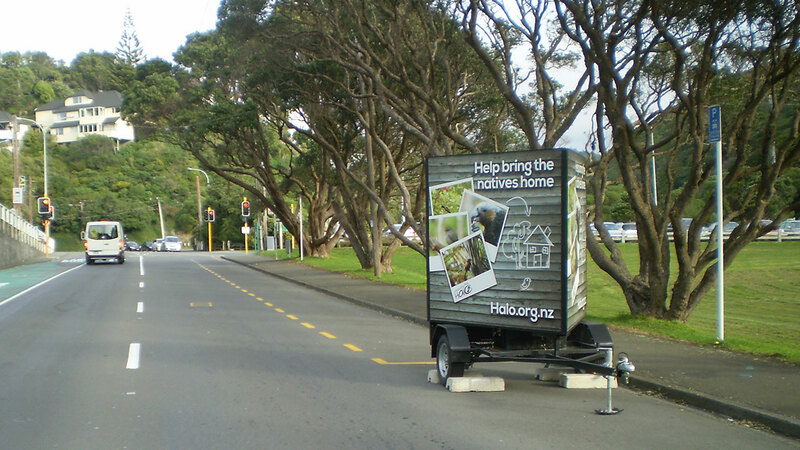 After discussing the by-law stipulations with the KCDC’s compliance officer, he advised that billboards on trailers like those in Wellington (the photo above was taken at the city end of Karori) would not be permitted under the KCDC’s by-laws. Remote fixed billboards the size of the Ranford ones require resource consent; whether or not Ranford bothered to obtain it is something we need to find out. Needless to say, if they were approved we are very concerned about the precedent it sets as it could open the door to general visual pollution with commercial developments accompanying the Expressway. The subject is covered in Part L of the KCDC’s District Plan. 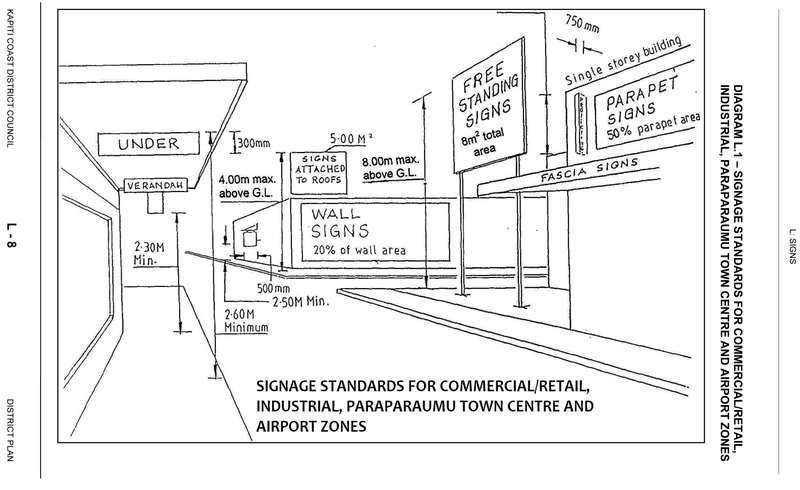 Here is the last page of this which specifies maximum dimensions of commercial signs. 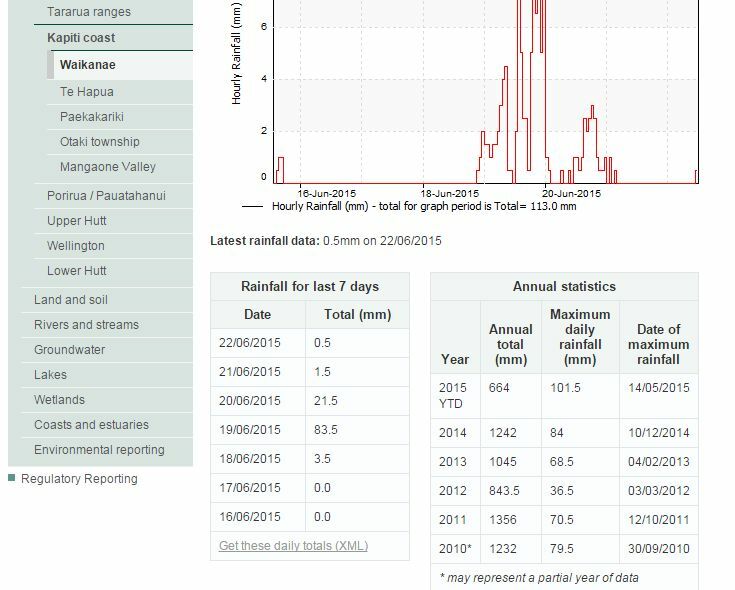 Those interested in keeping track of rainfall in Waikanae should bookmark this webpage of the Greater Wellington Regional Council which records rainfall at the Waikanae Water Treatment Plant.